As any high schooler will know, finals week can be a very stressful time and can feel very overwhelming. 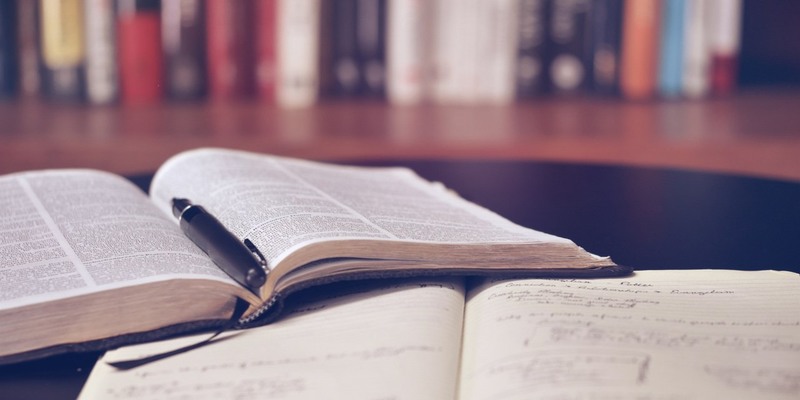 You may find yourself distracted, or lost, on how to use your time most effectively, but luckily we have 9 studying tips to help you succeed! Taking on many assignments and materials all by yourself can be very hard, but luckily there’s a class full of people who are going through the exact same thing. Two, three, or even more brains are better than one, and by getting together with friends and classmates you can share opinions and ideas. It’s also a great way to pick up any small details about a topic that you may not have remembered from class, but someone else did. Setting up study groups outside of school helps with reviewing, and this way, if you have any questions, you’ll be able to get quick and helpful answers. Remember when studying with friends though, to stay focused, motivated, and positive. Studying for 7 classes all at once the night before your finals is never a good idea, which is why it is important to divide up your work. By planning out when and what to study for the days or weeks leading up to finals, it is easier to make sure you have covered everything, while also making it less stressful the night before. For example, you can plan to study Math for a half hour on Monday night, and Science for 45 minutes on Tuesday. Dividing and planning your work gives you enough time to study while also keeping your mind focused and organized. Taking breaks is important to not overwhelm your mind, especially if you’re feeling tired or frustrated. Working for too long can decrease the quality of your work if your brain is simply too exhausted. Try taking a walk away from your studying space or doing a different task like making a snack for yourself. By taking a break from your work, you may come back with a whole new fresh mindset that can make learning much easier. A great way to study is using flash cards. For me, using flashcards is a great way to memorize things quickly. The best way to do this is to rewrite what you have in your notes, but in a shorter more summarized way, that way you can fit the key points on your flash card. A key thing to do while using flash cards is to actually write them – not type them and print them – but actually write them. Studies have been done, and it is proven that actually writing things out helps to remember things better. Finally, flash cards are easy and portable and can be shared with other friends to quiz each other. Often times, people use a type of reward system to help study. These rewards can vary from little candy treats, to 10 minutes on your phone, to an episode of tv, basically anything. The way this helps is that once you memorize a certain portion of your notes, or finish a paragraph of your paper, or whatever you are doing to study, you get something in return. This helps to motivate you to finish faster so you can receive your next reward. Often times, this works best with treats such as candy because it is quick and easy to return to studying afterwards. A great way to just get rid of all the stress is to cry and let it all out. Finals are hard and holding in all the stress and emotions that come with them just makes it harder to focus on your work, and just all around makes things worse. Crying helps relieve stress and makes you feel better after to continue studying. If crying isn’t your thing another great way to relieve stress is through exercise. Exercise is a great way to let out frustration and clear your mind. It also helps with that restless and overwhelming feeling that comes with finals. Exercising is also a great way to forget about everything going on and all you have to do and just makes you feel more relaxed. Also, exercise helps with feeling accomplished and after a good workout it’s easier to feel more determined to get all of your studying done. Finally, exercise helps to feel more energized and awake that way it is easier to focus on what you have to study for. Your work area is key for having a clear mind to focus on your studies. Whether that means clearing out your desk, going in a separate room for studying, going away to the library, or a coffee shop, having an organized space will go a long way. As people in the 21st century, we are very blessed with the app and website called Quizlet. It is versatile, with ways to make your own study sets or search and find people that have already made them. Teachers can also create classes where you can join and see all the things you will need to study for an upcoming test. You can put in as many cards you want and can study in many different ways. You can opt to study in the classic way, which is just an electronic version of regular flash cards. You can learn in the “learn” section which is like a practice quiz with things like fill in the blank and true or false questions. You can choose to do a simple practice with the “write” section where you just write the corresponding answer to each card. A great way to really test your progress is with the test. It is formatted like a regular test with different ways to test your knowledge (it has been said that some teachers at Highland have just printed this out and used it as their real test so pay attention). Lastly, a fan favorite is the match game. It is a throwback to the game we all used to play as kids but now filled with facts and statistics instead of pictures of animals. The time is very motivating as you can see a leaderboard with your other classmates. We highly suggest using quizlet for your upcoming finals!! Good luck on your next finals!!! Summer is right around the corner, and if you want money to spend you’re going to need a job because you can’t rely on your parent’s money forever. A summer job is a great thing to have to teach responsibility, and to get money. Many people have the problem of finding where to work, or what to do, or finding a place that will hire them, so we hope to help you on your search for summer jobs with our ideas. Lifeguarding is a great summer job to have for many reasons. For example, your employers understand that you are (in most cases) also a student, so you are not required to work during the school year if you don’t want to, and you won’t be penalized for deciding not to work during the school year. Also, unlike some jobs, where you are required to be 16 or older, you can apply to be a lifeguard at only 15, however, you must be certified and have completed the lifeguard training class. Lifeguarding is a serious job and you must be prepared to take on the responsibilities of being a lifeguard, but along with that comes the fun of being a lifeguard. Working for the city of St. Paul, lifeguards make between $11-$12 an hour, and depending on how many hours you work, you get a raise after a certain period of time. Also, the lifeguard community is a good group because most everyone are friends, making it more likely you will enjoy the people you work with. You are not only required to be a lifeguard, in fact you don’t even have to patrol the pool, being a lifeguard gives you other options for a job. For example, you can teach swim lessons, or a water aerobics class, and many more! Not only are these things fun, but they also pay better and require less hours. If you’re looking for an outside job where you can get a tan and go in the water lifeguarding is the way to go. Being a nanny (fancy way to say baby sitter) for the summer is a great and easy way to earn some money. During the summer, many parents don’t want to have to pay the fee to send their kids to daycare or summer camps while they are at work, so nannies are in high demand during the summer. Not only do you get paid well (especially if the family lives on Summit), but it can be a fun and easy job. Often, you will make a connection with the kids, and get to do fun things with them as well. Although being a nanny is a big responsibility, it does have its perks. There is no age requirement and no taxes like with other jobs. Also, if you have access to a car, or a city bus, you can take the kids and yourself to do fun things like going to the mall, or zoo, or water park, etc. Becoming a nanny would be a great, easy, flexible job for any teen to have this summer. Being a camp counselor is one of the many ways to earn money while having fun. Many kids go to camp every year and depending on the amount of kids they will need a counselor. There are many camps for many activities; for example, if you are into being out in the water Camp St. Croix is perfect, and if you enjoy farming and gardening Youth Farm is a perfect fit for you. For this job, you must be very patient. Depending on your age group, little kids may take some time to do things, or understand things. You will also need to be responsible; you’re with a lot of kids and you must keep them safe. This is a great job for people who need money while having fun and improving their communication abilities. Being a coach over the summer is a great experience. If you are really involved in a sport this job is perfect for you. It’s even possible that you can get a workout at the same time. 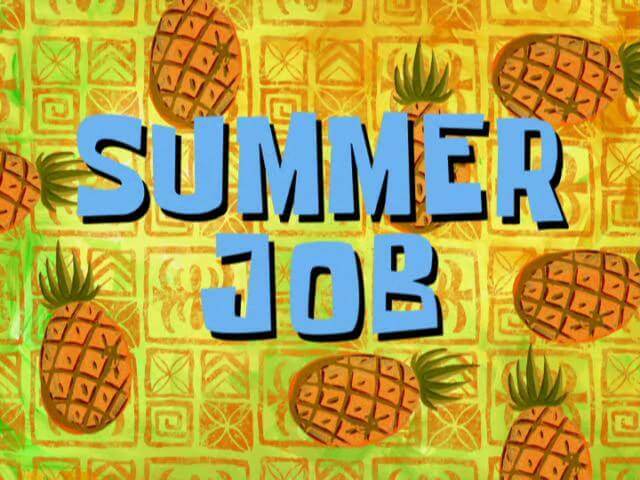 During the summer, a lot of people slack on their workout, or don’t even do one, but with this job it has you covered. You could teach any sport, it could be: baseball, soccer, basketball, gymnastics, or dance. Typically, if you’re a teen getting this job you will be working with little kids. Just like with the camp counseling job, you will need to be patient; not all people are born with a natural talent. A lot of people find this job very enjoyable because you get to do something you love. There are many ice cream places around St. Paul that hire year round, and summer only, for teens. Many have the minimum age limit of 14, so they are one of the most accessible jobs for teens. Some of the most popular ones near the Highland area are Nelson’s, Grand Ole Creamery, Izzy’s, and Cold Front. They are all currently hiring St. Paul teens for May-September, and in some cases you can continue into the school year. For these jobs, you will need to be available 7 days a week, morning through night, and not have any extended time periods off. They are looking for people with good customer service skills, the ability to work with all kinds of people, and the ability to handle money. Everyone loves ice cream, so why not work with it and get some for free? If you are interested, check their website or stop in and ask for an application. The Minnesota State Fair is a great way to spend your summer at Minnesota’s greatest event of the year. The technical age for working is 16, but if you apply individually with a vendor, they may hire younger people too. To apply, you have to complete a cover letter and resume, and then have a meeting in the registration office where you will be interviewed and led in the direction of jobs suitable for you. You need to be available to work all 12 days of the fair, and during consistent times available. The specific skills required depend on the job, and there are many options. There are hundreds of food vendors, some in full restaurants, and some in just stands on the street. Some of the most recognizable vendors that hire teens are Sweet Martha’s and the Pronto Pup stand. The fair will start taking applications on June 16th, so get your resumes ready!! Summer is a great time to get money before the stress of school comes back. The Twin Cities’ have a lot of great opportunities for jobs that are designated for teenagers, and many of them are really fun! Most places are hiring right now, so go get to applying!! The annual Boat Dance is just around the corner! Many students are super excited for this special dance. There are so many things to do there, which makes students fall in love with this dance. Everyone talks about this event. You definitely do not want to miss out on it, so get your tickets! Come on board to the Boat Dance! 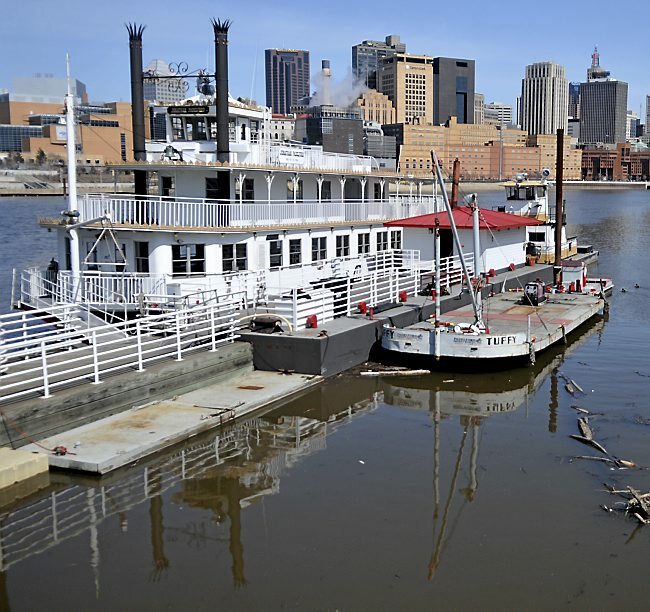 This year, the Boat Dance will take place May 18th from 7-10pm, and the boat will leave Harriet Island at exactly 7:00pm, so don’t be late. Tickets for the Boat Dance will be sold for $20, the week of Boat Dance, at both lunches and in room 3211 after school. Don’t be fooled though, although it is a Boat Dance, that does not mean swimsuits. The Boat Dance is a formal dance where people dress up, but it’s really your choice, just don’t show up in a swimsuit. Bringing something warm is suggested because the dance does go rather late, and you will be on the river, outside, so it can get chilly. The Boat Dance is a really fun way to spend a night with your friends and bring in the spring. Many Highland students say it is their favorite dance of the year, and look forward to it all year round. The boat consists of two levels with a variety of activities to do like dancing and singing. Beginning at Harriet Island, you go on an about 1.5 hour ride that loops back to the start. There are many ways to enjoy your time on the boat, depending on your preference. You can hang out on the upper deck, where you can see some great views while chilling at the tables, and lots of people take their pictures there. There are 2 other indoor sitting areas; 1 on each level. There is also a karaoke setup on the upper level, which has almost any song you want to sing with your friends. Finally, there is the dance floor. It is jam packed with other students dancing, and is a super fun way to spend the night. You might want to escape to one of the sitting areas every once and awhile though to get some air. A really fun part of Boat Dance is the time before it starts. Lots of people get ready, and then go out to eat with a group of friends. The downtown area of St. Paul is full of restaurants and places to hang out with friends. Black Sheep Pizza, Mickey’s Diner, and Cossetta’s are all great options for affordable dining near Harriet Island. Overall, the Boat Dance is a night you will never forget. We cannot stress how much fun it is. It’s a great time to hang out with friends, and also a great opportunity to meet new people in your class or other classes. This dance appeals to many people, and it is impossible to not have a great time. Make sure you get your tickets!! Highland Park had its annual blood drive on Friday, March 16th. Every year, in the early spring, Highland Park Student Council teams up with the Red Cross to put on a blood drive. It is a great cause because all the blood donated goes to people who need it. Anyone who comes into a hospital needing blood can greatly benefit from donated blood, and it can possibly save their life. This drive was especially important because the Red Cross has had to cancel over 10 drives due to the harsh Minnesota winter this year, so they had a shorter supply of donated blood, and so were very appreciative of us for helping out. Each year, Student Council plans a fun theme for the drive, and this year it was “March Madness.” Lots of people had their favorite jerseys on, and games were broadcasted on the projector where everyone could see it. Highland had so many volunteers that there was almost always a few people giving blood, and many extra people were there for backup. This year was definitely one of the biggest blood drives that Highland has had. If you decide to donate blood, there are many opportunities during the day. Donating blood starts second hour, but there is a sign up sheet to sign your name on what time best suits you. The times go throughout the school day until the end of 7th hour, but there is no guarantee on how long the process will take. Oftentimes, for some people, the process of donating blood can be quick and take roughly 10 minutes, but for others, the process could be long and take up to a half hour. The process really depends on the person. After you have finished donating blood, you still have to wait another 10-15 minutes before you can leave. During this time you are supposed to just sit and relax and eat some of the snacks provided to make sure you are O.K. before you can go. This is also done to prevent sudden movements like standing up too fast, which could lead to you being lightheaded or fainting. There are some things to consider before you decide to donate blood. One of these major considerations is whether or not you are involved in sports. Donating blood could render you unable to participate in some sports for a short period of time. For example, if you are playing a sport that involves high activity, such as running track, and you decide to donate blood, you would not be able to do track for a short period of time due to the fact that it takes a while to recover from losing a pint of blood. Participating in these sports could cause health risks such as fainting. However, if you are participating in a sport that does not involve high activity, such as golf, donating blood shouldn’t affect your ability to participate in that sport. Talking to your coach about donating blood is also a good idea before you decide to donate blood. Another major consideration when it comes to donating blood is your own personal health. If you have any health factors that could affect your ability to donate blood, you should talk to your doctor and guardians to make sure donating blood would be a safe choice for you. We encourage everyone to participate in a blood drive, whether it’s next year at Highland, or somewhere else throughout the year. When Student Council would talk to people who were drawing blood, we asked why they chose to participate today, and almost everyone said that they wanted to give back to the community and give back to people that need it. It really is an amazing opportunity to do good in the world. Everyone who participates walks out feeling really good about what they did, and proud of helping people. Many people go into it thinking it will be super painful, and a terrible experience, but those that have done it have said that it does not hurt at all, and after a few minutes they were totally comfortable. Giving blood is a really fun experience. You are surrounded by medical technicians that want to help you, and Student Council members are there to help you ease through the process. There are stuffed animals, music, an area with mats to hang out on after your donation, March Madness, fun movies, and tons of snacks!! Spyhouse is a new coffee shop in the Highland area, just over a mile from school. 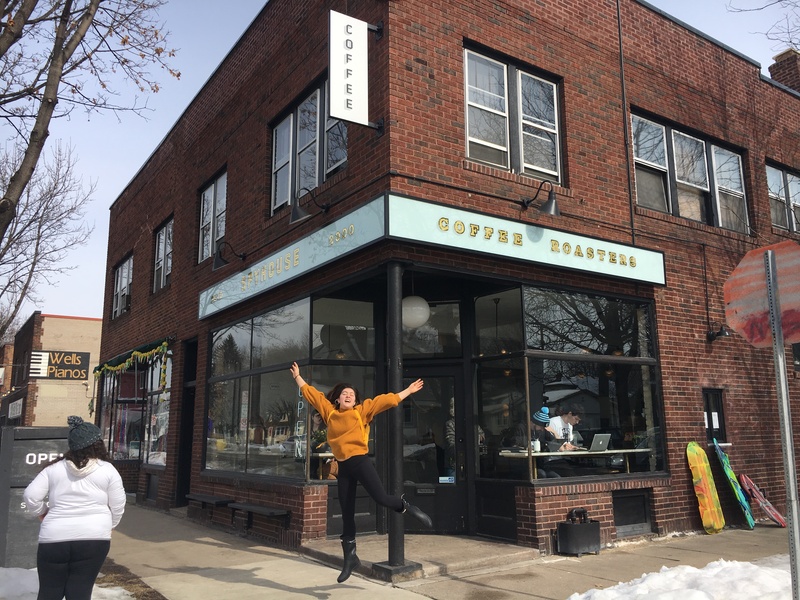 This is the first expansion of a very popular location in Uptown Minneapolis. We wanted to see what all the hype was about and check it out. Spyhouse had a very cozy and modern feel to it. 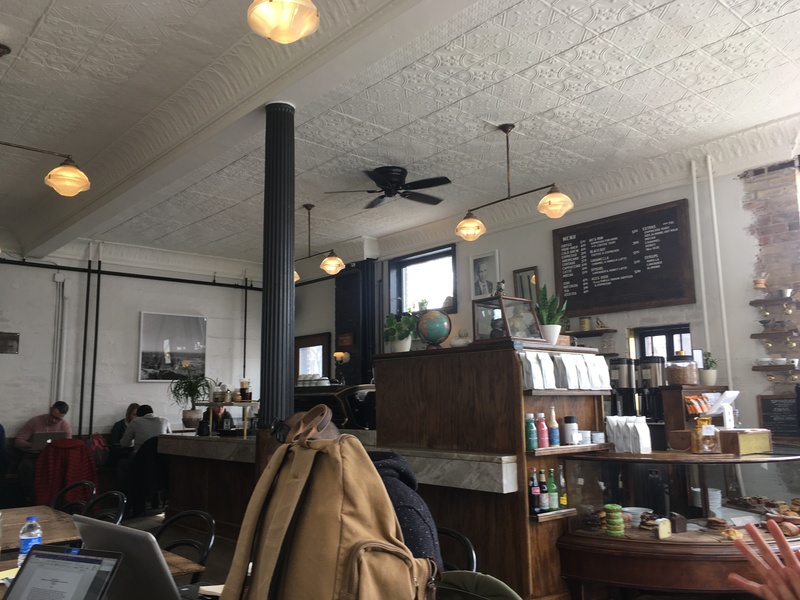 For a few years, it has been known as a very hipster coffee shop in Minneapolis that is Instagram famous. This is understandable as it has a very cool color scheme and mugs that are recognizable from the Minnesota outline on them. They have the perfect blank walls for pictures, and there are also plants placed here and there. The building is pretty small, about the size of a large classroom, so it could easily be overcrowded on a busy weekend morning. It is the perfect kind of vibe for a study session alone or with friends. Due to the fact that the Spyhouse is a coffee shop, it did not have actual food on the menu. However, you can choose from a selection of pastries that are located in a case in the front. There is a long list of coffees to choose from and a variety of teas. 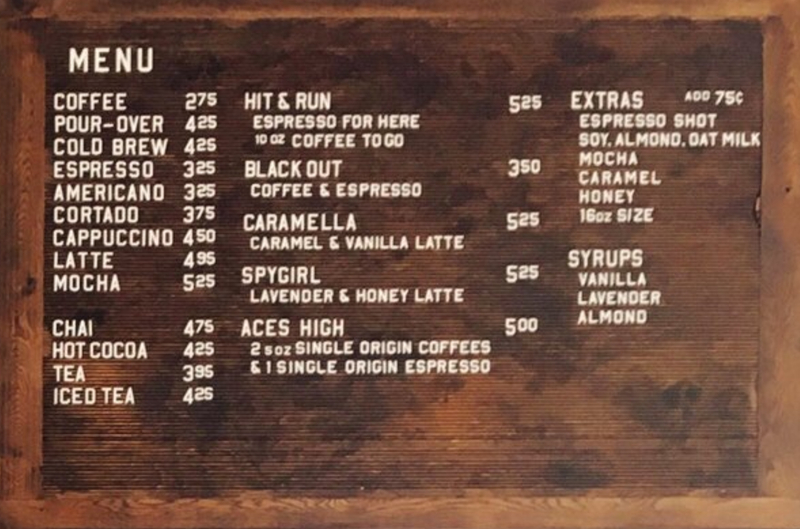 If you’re looking for a nice coffee or tea, the Spyhouse menu is guaranteed to have it. We ordered a chai tea latte and a chocolate croissant. Both of these were very good, and we recommend them. The latte was sweet, but not overwhelmingly sweet, and it was very warm, but not too hot that it burned your mouth. 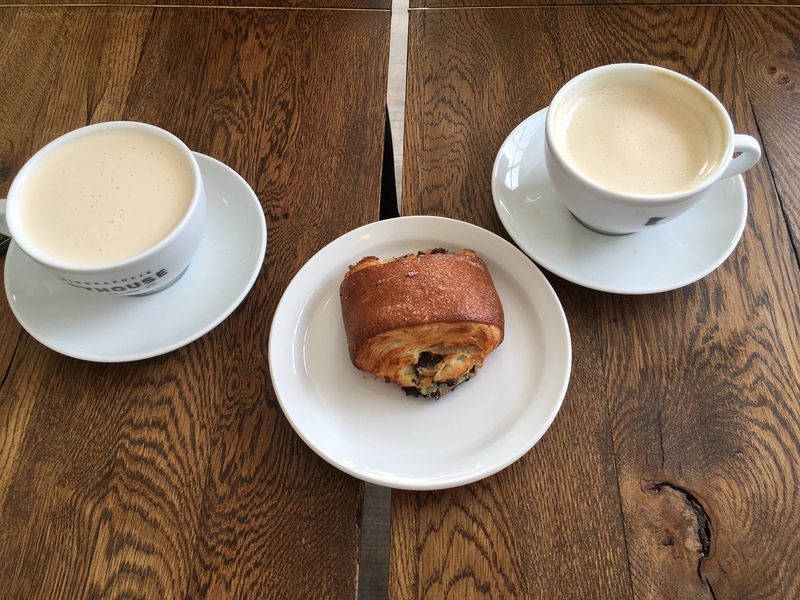 The chocolate croissant was also very sweet and tasted very good when accompanied by the chai tea latte. It tasted fresh, and not like it had been made days ago. It also wasn’t very messy like many pastries tend to be. The food and drinks of this cafe were also very aesthetically pleasing, which is a plus. Many people nowadays love to photograph their food, and this food was overall pretty to look at. It wasn’t messy, and the mugs were really cute along with the good lighting from the windows. The customer service was very pleasing. When you walk into the door and start to order your food the workers there all seem to be really hipster and cool. They wait there for you to decide what you would like patiently, while at the same time, they are filling up coffee orders or are working the cash register. This contributes to the chill and hipster vibes from the cafe. When you are ordering, if you have any questions or concerns, the workers there are very open to answering your questions and making your coffee just how you want it. Once your drink is ready, they will bring it to the station where you pick it up, and make sure everything is in order and how you ordered it, before you go sit down. After the meal, once you’ve placed your dish in the dish bin, they will politely wave goodbye as you leave, if they get the chance. Overall, we had a positive experience at Spyhouse. It has proved to be a good environment to chill with your friends or work on homework. It did not have a great variety of things to order, and the drinks did not really stand out, but the food was very good and the location was hard to beat. Last week was Spirit Week at Highland Park! A meme is a humorous image, or video, that is copied and widely spread on the Internet. Often times, these memes have pieces of text on them that can be altered depending on the interpretation of the meme. 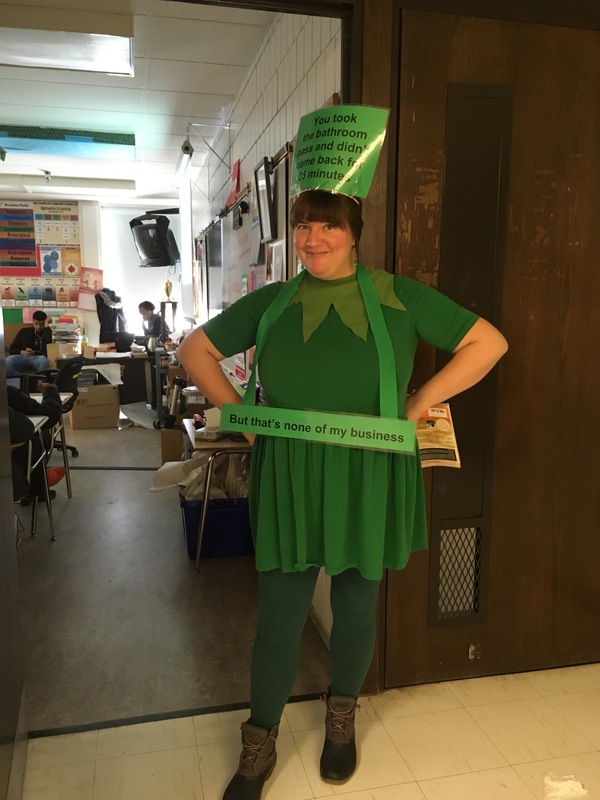 This year, students voted on having a Meme Day at school so Highland Park had its first Meme Day! 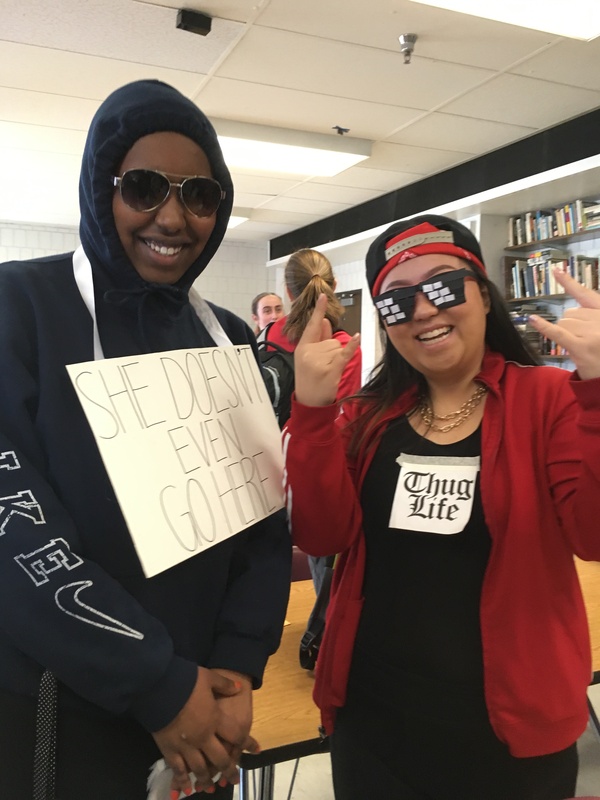 The point of Meme Day was to dress up as/or imitate your favorite meme, or any meme found online, and come to school as that meme. Here are some of our favorites that we saw throughout the day. Ms. Becker took her own approach on a classic meme, taking a jab on a common issue teachers have with students. 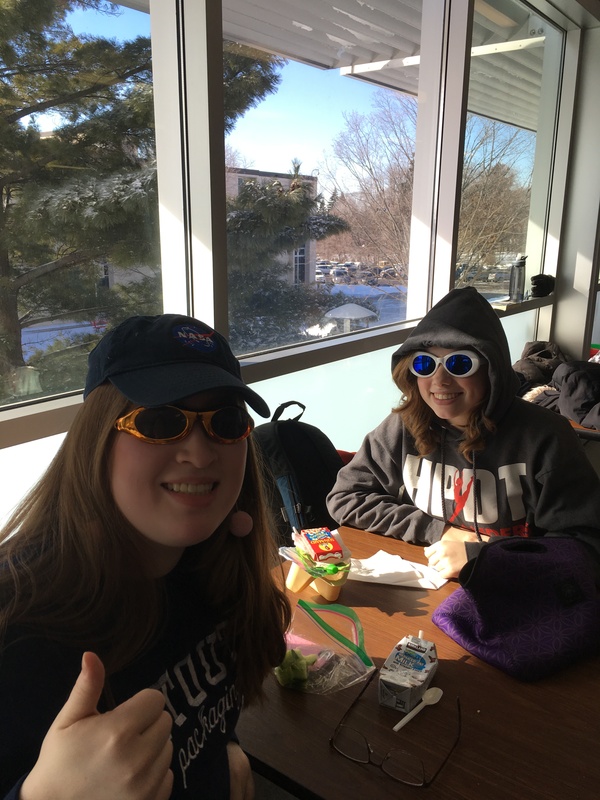 Sophomores Abby Johnson, and friend, have simple outfits with their clout glasses, a recent trend. Exchange students really loved getting into the Highland Park spirit with some of the most dedicated outfits we’ve seen all day. There was Ugandan Knuckles: He knows da wae. And fidget spinners were brought into a new light with a whole outfit dedicated to them. Juniors Nectaree Thao and friend take on their versions of some classics. Ruquiya is from an iconic scene in Mean Girls that has lived on for many years. Necteree was very creative with her glasses in recreating a meme from a few years ago. A Sophomore took on the original meme of Kermit the frog sipping his tea. She was very creative in making her own Kermit the frog costume and really took it the next level by bringing her own tea (which she later spilled) and making her own sign to go with her meme costume. Some students just chose just to dress in fun ways without recreating a specific meme like Sebastian Isett with a very unique jacket. Meme Day hit or miss? Overall, for Highland’s first ever Meme Day, we’d say it was a hit. It is true that not as many students participated in this, but those who did really made people smile and laugh. 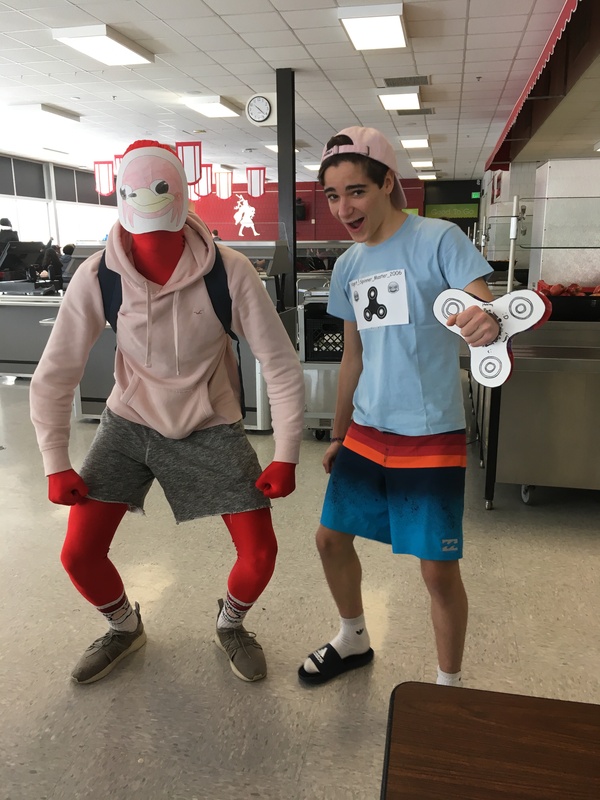 There were many students around the school who came dressed as their memes, such as those in the pictures we’ve shown you. In the following years, if Meme Day is voted on for Spirit Week, it would probably generate more participants by the students and would probably be more successful! Let’s face it, almost everyone has been to Target at least once in their lifetime, and most people say it’s pretty great. We hope you love Target as much as we do, and if you don’t here are six reasons to love Target! Whether you came specifically looking for it, or just found it along the way, Target has everything you will ever need. They have you covered for clothes, food, home decor, furniture, toys, a health clinic, an optical clinic, a separate section for alcohol, and of course, Starbucks. It’s so hard to leave with just what you came to get because you will see a million other things you want. If you had to go to only one store for the rest of your life, Target would be the most logical option. Who doesn’t love Target clothes? Target has a variety of clothes and clothing styles. They carry: sports/workout, maternity, work, pajamas, undergarments, baby, teen, kid’s, men’s, women’s, swimsuits and accessories. Basically, any type of clothing you need you can find at Target! Not only that, but the clothes at Target are very stylish, and they are also half the price of clothes you would find somewhere else like, American Eagle. Target also fits all sizes! So no matter your size, Target will have something for you. 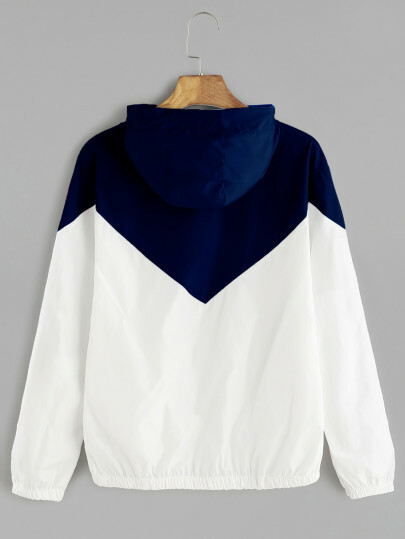 Their clothes also include a variety of brands to choose from, so it’s guaranteed you’ll find something you’re interested in. 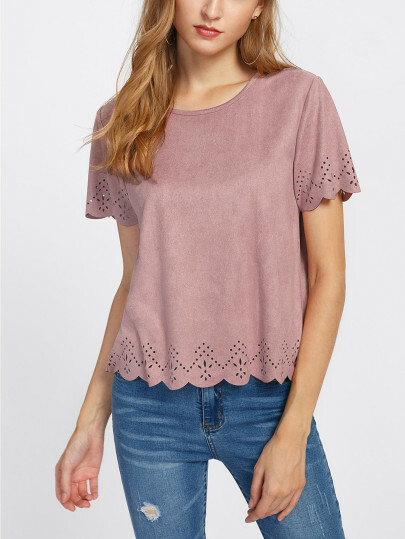 Finally, in most Targets, the clothes sections are located in the front of the store so it is easy to find, and easy to locate your desired style. Another great thing about Target, is that for most people, it is convenient and not a far drive! Targets are stationed nationwide, and there is generally one in each city. There are a variety of Targets that range in size, location, and products. Some Targets are smaller like the Target Expresses, which usually are in busier places, and smaller buildings, like the one in the Village, in St. Paul. Then there are the much larger Targets, like Super Target, which is larger and has more products inside. Finally, you have the regular sized Targets. Another great thing about Target is that you can shop online, so if you live too far away, you can easily purchase it online and they will drop it off at your house. Target also has a drive-in, and a pick-up, section, which basically allows you to shop online and Target will have it ready for you to pick up at the store when you arrive. Depending on the Target you live by, you may have a food section. You can find fruits, vegetables, grains, and much more. Target also can meet your dietary need,s which is something amazing. If you have a gluten free diet, Target has gluten free bread, gluten free cereal, and anything you could think of. Perhaps you are vegan. Target can supply you with vegan meat, chips, dips, yogurt, and much more. Even if you don’t have a specific diet, Target has such a large variety of food to choose from, you should be able to find something you can eat. Not only is Target convenient for buying groceries, it also has a pharmacy. The pharmacy is an easy and quick way to get in with a doctor instead of having to go to an urgent care or to your personal doctor. So, if you have strep throat, or an ear infection, or the flu, you can easily go to Target and they will take care of you. Bullseye’s playground is my personal favorite part of Target. If you don’t know, it is Target’s dollar section. It is usually located at the front of the store, so it’s the first thing you see; that is part of what makes it so irresistible to stop and check it out. The things they carry vary by season, so just looking at it can make you so excited for the upcoming holiday or season. You can always count on a few staple items to be there such as: stationary, candles, socks, toys, and homeware. The prices are always $1 or $3, with the occasional splurge item of $5. 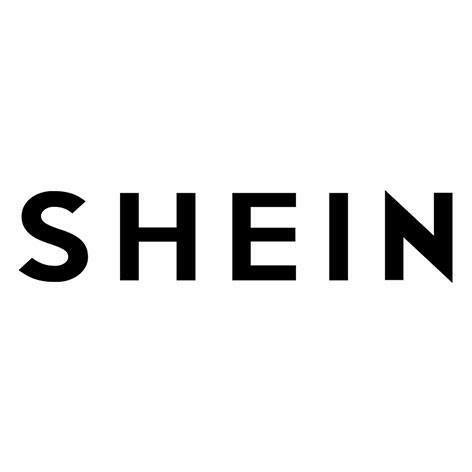 The quality of their merchandise is actually really good, so you can find valuable items for some good deals. Overall, this area of Target is always there to bring you some joy at low costs! Overall, Target is a great store where you can find all of your needs at an affordable price, and we hope this article has convinced you to love Target as much as we do. December is here and for all the people who celebrate it, it’s officially time to get into the Christmas spirit. For those who want to immerse themselves into this joyful holiday, here are 8 ways to get into the Christmas spirit! Christmas movies are essential for getting into the Christmas spirit. There’s nothing better than getting all cozy and warm on the couch while watching your favorite Christmas movie. There are a variety of Christmas movies to choose from. Some are old classic ones like Miracle on 34th Street (1950’s), that really touch the heart and teaches about the true meaning of Christmas, and others are more modern day Christmas movies like Elf and the live action Dr. Seuss’ How the Grinch Stole Christmas, that are meant to make people laugh. Meanwhile, there are the romantic Christmas movies like Love Actually, and family classics like Rudolph the Red-Nosed Reindeer, A Charlie Brown Christmas and the cartoon version of Dr. Seuss’ How the Grinch Stole Christmas. Overall, Christmas movies are great for gathering around with family and friends, and enjoying each other’s presence while being cozy and comfy. After Thanksgiving it’s time to get the Christmas tree up! Everyone knows the best way to get into the Christmas spirit is decorating. Setting up the Christmas tree with family and other loved ones, while playing Christmas music, can get anyone into the Christmas spirit. There are many ways to decorate for Christmas. 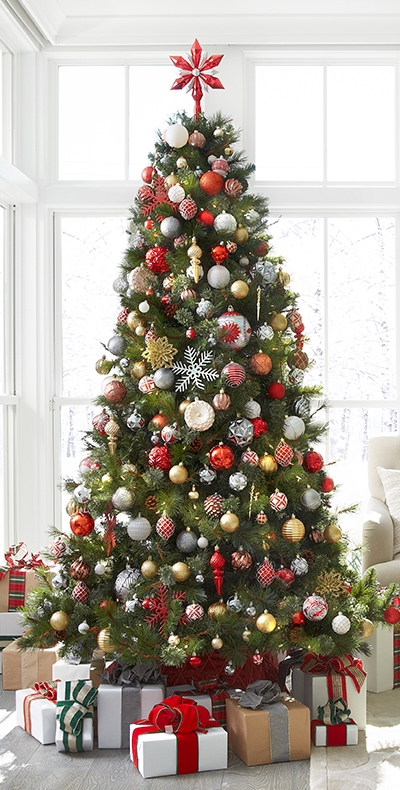 Some people get real trees, and others get fake ones, but either way everyone loves decorating their beautiful trees with lights, ornaments, and a center-piece on the top. Another way to decorate for Christmas is setting up lights around the house, inside and out, so that everywhere you go it feels like Christmas! In some religious households, the manger scene with the birth of Jesus Christ is displayed, which also helps some people to get into the Christmas spirit. Finally if you’re really into the Christmas spirit, or are really wanting to get into it, some people make huge snow statues and buy huge blow-up Santa Claus’, and other Christmas figurines, like Rudolph. These huge blow-ups will definitely draw attention to your house while you get to proudly show off your Christmas spirit. To get into the Christmas spirit, you must dress for the occasion. You can do this by pulling out any holiday spirit wear you have, including sweaters, socks, and hats. If you haven’t got any at home, there are many options on sale at stores, all over, including: Target, TJ Maxx, and Macy’s. Often times, these can be expensive, but luckily, if you stop by your local thrift store, you can usually find some cheap festive sweaters. It may be a simple change from a regular sweater to a Christmas one, however it’s an easy and fun way to feel more connected to the holiday. A major part of Christmas is being able to give gifts to your friends and family to show your love for them (and also to get some gifts in return). Gift giving is not always the easiest task, and can be overwhelming at times, but by planning ahead you can make sure you not only get all the gifts you need, but also get in the spirit while you’re at it! 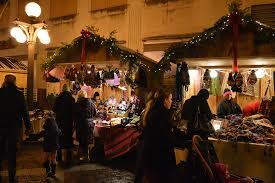 Stores, all around town, are showing their festivity, and having many holiday sales you can take advantage of. If you’re buying a gift for someone with a definite list of things they want, we recommend buying off that, however, if not, there are some basic gifts that can be used for anyone. These gifts include: perfume/cologne, books, blankets, small clothing items such as hats or socks, candles, mugs, and more. Gifts don’t always need to be material goods either; a loving letter, or time well spent, can be just as good, or even better. Christmas Shopping doesn’t need to be difficult, and in the end it is worth it to see your loved ones be surprised with great presents. Christmas music is an essential to feeling the Christmas spirit. There are many varieties of music, and you can pick which one based on your preference or your mood. There are the more classic types such as carols like “Deck the Halls” and “We Wish You A Merry Christmas,” those with a rock kinda vibe like “Rockin’ Around the Christmas Tree” and “Jingle Bell Rock,” and there is also the modern-pop style like “All I Want For Christmas Is You” or “Baby Please Come Come.” All are amazing options for getting you in the spirit. You can play these during any Christmas activity like decorating, cooking, baking, or just generally hanging out with your loved ones. Christmas parties are a great way to celebrate and make the most out of the most festive time of year. Whether they are spent with family or friends, they are a great way to spend time with the ones you love. Hosts can decide on the general theme they want for the party, and there are many fun options. If you wanted a more intimate celebration with your friends, Secret Santa is a great way to do it. It works best with groups of 4-20. If you’re not familiar with Secret Santa, it is when a group of people put their names into a hat or bowl (or more recently electronic versions), and each person picks out 1 other name and buys a gift just for them. This is a simple way to help save money, because you only buy one gift. You can have a party at the end of it, where everyone gives their gift and has a good time. You can also follow other themes like: an ugly sweater party, where the person wearing the ugliest one wins a prize; or a white elephant party, where everyone brings a random gift and you can steal the ones you like! Whatever you do, we hope you have a great time with all your loved ones! If you are lucky enough to live the Twin Cities, you have access to wonderful events throughout the season to participate in. The Union Depot is known as the “Hub for the Holidays,” and they host may events throughout December. They have multiple movie screenings in their grand hall such as Elf and The Polar Express. They also host a full re-enactment of the train from Polar Express, with a running train where they decorated it almost exactly as the train from the movie. Then they have employees recreate iconic scenes like the dancing hot chocolate part. 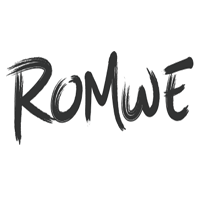 They also have a European Christmas Market up all season, where you can buy everyone on your gift list authentic European gifts, and help support family businesses. If you want to venture out into Minneapolis, you can go to a classic Minnesota tradition at the Holidazzle parade, and festive events at Loring Park. If you want a fancy night out, there is nothing better than a nice evening at the Guthrie. Every year they put on A Christmas Carol, and it is a great way to enjoy the arts while getting in the festive spirit. We hope you have found something to help you enjoy the season around the city!! Not only is Christmas about being surrounded by ones you love, but it is about giving, and one easy way you can give is through volunteer work in your community. People all around the world have little, to nothing, on this holiday, and there are many ways to help them out. One way to do this is through the Salvation Army by: helping prepare and serve holiday meals, being a bell ringer, and more. Another way, is through Little Brothers Friends of the Elderly Holiday Volunteers where you can prepare and serve meals at their locations in Minneapolis/St. Paul, and deliver to elders who can’t get to the centers. Neighbors, Inc. helps distribute a large wish list of food items, and gifts, to needy families, and they have a variety of other tasks to do. These ways and more, are easy to do, and will make you feel the Christmas spirit through helping out those in need. 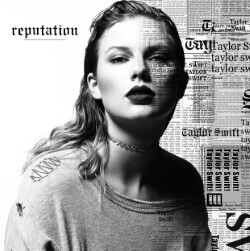 The international pop sensation Taylor Swift has just released her new album Reputation. This album has shocked the nation with her new, bold lyrics, videos, and image. She has made it clear that she has grown and developed into a new person and is nothing like her past self. With this new album and image, she has released four singles: “Gorgeous,” “Call It What You Want,” “Ready For It,” and “Look What You Made Me Do.” While three singles had already come out prior to our writing this, we gained early access to the lyric video of “Call It What You Want” and we will be giving our opinions on each. This hit single was the first of the four that was released on August 24, and the first look the world got at Taylor’s new self. Though it may get stuck in your head, the quality of it is nothing amazing. The lyrics are very dramatic and attention grabbing and incorporate many hidden references throughout. These may be subtle, but they clearly get the message across that Taylor is done with all of the drama and because of all the things that people have done to her, she has become someone new and stronger. However, the extreme dramatization of all of the lyrics make the whole song sound not only repetitive, but also somewhat childish. At no point in the song does Taylor showcase much vocal talent, and considering half of the song is her repeating the line “look what you made me do,” we believe this song definitely got its point across, but is really not very enjoyable. Taylor begins this beat based, intense song, with the bold lyric “knew he was a killer first time that I saw him,” letting the listener in on the topic of this song, which is to no surprise, a boy who has given her trouble. The majority of the lyrics in the verse are backed by a distorted beat, which Swift tops with a mix somewhere between rapping, singing, and talking. Though this type of singing runs throughout not only this song, but the whole album, we agree that this style of singing does not seem to suit her voice or persona. The verses use some lyrical tricks to connect different lines which can be catchy, however, in terms of substance they seem lacking and recycled. They are the usual, arguably average, boy-centric lines that Swift has been using since the beginning of her career. The pre-chorus, and chorus, slows it down and is when she goes more into her familiar singing voice, which is enjoyable enough but nothing we’d really listen to again. Each chorus ends with the title line of this track, with Swift pausing before speaking the line “Are you ready for it?” This transitions into a loud and repeated computer generated sounding rhythm, which could possibly be entertaining in some crowded and large settings, however, once again, it’s not something we’d really see ourselves listening to on anything near a daily basis. This repeats itself a few more times, but the song really never hits a peak moment and to us, seemed quite bland and overused. It really doesn’t seem to have any major distinctions from the rest of her singles, and doesn’t seem to be anything special that will go down in history. Overall, it is okay for a possible party tune but nothing we’d truly recommend. Swift’s “Gorgeous” was released in late October as one of her first singles for this album. This is a simple song – just about a crush she has on a guy she sees from across the room. It has no significant meaning or anything that really makes it stand out from anything you’d hear within 5 minutes of turning on KDWB. It seems the most similar to her old “prime of Taylor” music, but lacking the fun and upbeat tone that used to make her music more easy-going and catchy. This is not something that a role model for a lot of young girls should be saying as something that’s right or that it’s a situation that people should strive for. She is also saying that the gorgeous man should automatically like her, even if she’s not treating him well. The first lines of the song state: “You should take it as a compliment/ That I got drunk and made fun of the way you talk.” The idea is that he should be grateful for how she’s treating him, even though she doesn’t do anything nice and is just assuming he wants her. Overall, this song is just bland, and doesn’t achieve the point it’s trying to make. But fun fact, the baby saying gorgeous at the beginning of the song is Blake Lively and Ryan Reynolds daughter!! Compared to the other 3 songs we reviewed for this article we found this one to be the least disturbing. Although many of lyrics have no value, for instance the lyrics “I want to wear his initial on a chain around my neck,” and “My baby’s fly like a jet stream.” These lyrics give off no true value to the song and they don’t have a deeper meaning. This song has a rather catchy beat. Unlike her most recent songs, this song’s beat is not dark and EMO, but more upbeat like her old self. However, many of the lyrics in this song do not entirely support women in our constant fight to earn the respect we deserve. One of her lyrics read “ He loves me like I’m brand new,” this compares herself as an object that is bright and shiny and well new. This can give the impression to men and other women that women in general are shiny new objects that can just be replaced and this is not a good message for younger girls, boys and girls, and boys of all ages to be hearing. As we’ve seen before, Taylor is known for bashing out friends/exes in her songs which hasn’t gone well for her before and only causes her more trouble. In this song some of her lyrics read “All the liars are calling me one,” and “All the drama queens taking swings/All the jokers dressing up as kings.” This could have been an intentional insult to some of the other artists in the music world and insulting them could just create another Katy Perry vs. Taylor Swift battle so why create the unnecessary drama? Overall, this song was not our favorite of hers but it was, however, our favorite of the 3 we reviewed. After listening to all of Taylor’s new singles, we found ourselves quite disappointed by the end. Her new image, persona, and sound seems honestly quite fake, and they don’t showcase the talent we know she is capable of. The songs seem overdone and really don’t have much substance or redeeming qualities. On a scale from 1-10, we give them a 4.5, and we hope to see some stronger music from her in the future.